The term "vintage" has been thrown around loosely in the upcoming collections, with many designers recreating looks from decades past. Still, there&apos;s nothing like the real thing, which is why we caught up with one of the true originators (no swagger-jacking here), Red Wing Shoes, to view its Fall/Winter 2009 collection. 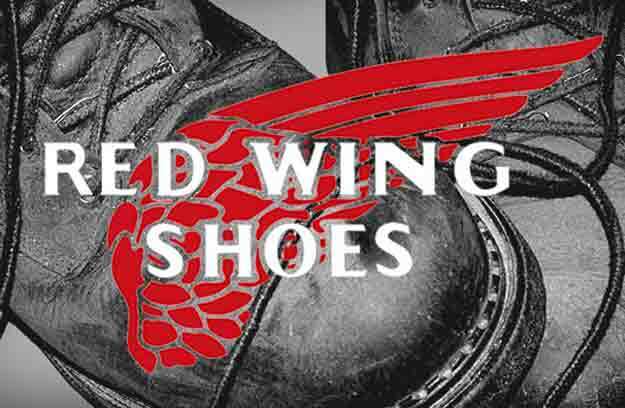 Having been in the footwear game for over a century, Red Wing Shoes is the epitome of "Americana" heritage and a big reason that workwear boots is ranked so high on our Top 100 Style Trends of the 2000s list (click here if you missed it). STEP 1: Use rag and dip into acetone nail polish remover and rub all over the leather to make it damp. STEP 2: Take a piece of sandpaper and rub into leather; the more pressure you apply, the darker it will be. Use gentle strokes (ayo!) if you want your boots to stay light. STEP 3: Use the brush with a little bit of black polish rub and apply on leather. STEP 4: Once you've achieved this antique look, take a clear neutral wax polish and go over it.